You are currently browsing the Got Transmissions blog archives for January, 2013. Ford now produces the SVT Raptor as an upgrade to the SVT Lightning. This F150 series is part of a new wave of upgrades at the Ford Motor Company. While the technology is still new to this model, some have experienced various issues with a Raptor transmission. Got Transmissions is a trusted source to purchase cleaned and inspected gearboxes for Ford vehicles. Each Ford Raptor transmission that is purchased here for sale is tested for quality. It is the series of tests that are performed that helps customers get a reliable replacement gearbox at http://gottransmissions.com. Ford designed the Raptor to go along with the V8 series. The transmission is a 6-speed automatic unit plus reverse. Since this vehicle is a 4×4, the transmission is one component that works with the transfer case. All of the internal parts are designed to work efficiently with the F-Series pickups. The gearing in first through sixth gear is specifically designed to match the torque and power. The used transmissions that can be found in the company inventory provide value. This value is in the form of low mileage, cleanliness and road tested ability. Buying a replacement gearbox online is no issue from Got Transmissions. A low price can be deceiving online. 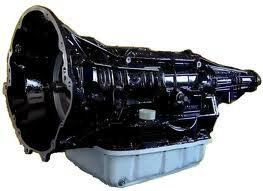 Buying an automatic 6-speed transmission can easily go higher in price once shipping is added. Many retailers advertise the lowest price and jack up the final total once all details are attached to a shopping cart. The professionalism that is put into this company eliminates common issues. The incentive of free shipping is something that has been added for immediate consumer benefit. The total price of shipment is removed when a sale is made here. This is one extra way that buyers save money at this company. Free shipment offers are just one upgrade now offered. The complete Ford lineup and all makes and models in stock receive our two-year protection with a warranty. The quality of the preowned editions in stock is already high. What the warranty program offers is more assurance. Any part can stop working at anytime. There is no such thing in the auto industry as flawless parts. The general wear and tear and OEM breakdown occur naturally. The protections that are now offered with each sale are an incentive for 24 months. 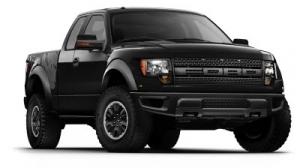 This period of time ensures that a 6-speed Raptor transmission and others in stock will function like new. The lower mileage and the cleanliness of what is sold help add to the value. Got Transmissions is a respected name in the industry and ships thousands of assemblies annually. Price quotes are always sent out from our website or through the telephone system in use. These quotes are highly accurate. Part of the information given includes warranty, shipping and stock information. Our team is ready to handle any request for Raptor or other type of transmission in stock. Let a professional company help you get the replacement you need for a steal of a price. Transmissions are essential for modern automotive advancements. The creation of the 3-speed, 4-speed and 5-speed transmission is one feat that all automakers share. Finding a replacement assembly is more than challenging online. Got Transmissions is arguably one of the best resources to find cheap transmissions for sale for any make or model. The manual and automatic versions that are shipped daily make it easy to get a quality unit. The replacement process goes much smoother with a unit that is pretested before it is shipped. That’s exactly what is offered here on the http://gottransmissions.com website. One consistent thing about replacement gearboxes is that diesel and gasoline engines each use these units. No types of block modifications are required to attach these to a 4-cylinder, V6 or V8 motor. Because there are many aftermarket models sold, finding one that is a true OEM build can be a problem. There are thousands of sellers that claim discounted pricing. The consistent theme here on this website is low prices combined with extreme value. The Chevrolet, Ford, Dodge, Chrysler, Plymouth, Isuzu, Honda, GMC, Kia and other top brands sold here give this value with each shipment. Buying preowned always has a level of risk. This risk can be major or minor depending on the seller. What Got Transmissions offers is a fully inspected unit. These preowned gearboxes comply with OEM specs and are usually pullouts from actual vehicles. Warranty coverage for a period of up two years is offered here. This is accomplished for no additional cost. The value that is put into the inventory does not go unnoticed. The reputation that has been built in the automotive industry here remains strong. From free shipping to generous warranties, the cheap transmissions on sale here give buyers what they really want. Buying for a discount is easy here. Upgrades in technology have made it entirely possible to receive pricing online. The use of the quotation system is one way that this company is offering a difference. The use of same day shipment incentives is another addition that has proven successful. The buying staff to the shipping staff are all in communication together with each order. The discounts that are provided here are because the business model used has been streamlined. The advancements, upgrades and changes to company policies have helped more people in the U.S. and Canada receive more value. The clientele ordering here includes automotive companies, junkyards, salvage industries and mechanics. Any person who needs a replacement transmission in preowned condition buys from this company. Quotes are part of the price discovery process. What matters the most is finding the price point that works. This company always generates low pricing. Use the quote system we’ve provided. It gives you inventory, pricing, warranty information and shipment terms. If you do call by toll free number, you’ll be greeted by an expert who will deliver the same information quickly to you. Try this company as your online source for cheap gearboxes for cars, trucks and SUVs. Ford is one of the leading manufacturers of automobiles, trucks and SUVs. 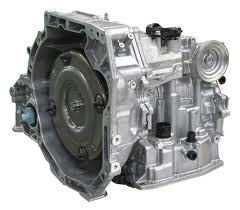 One of the components in these vehicles that is required for proper operation is the transmission. Ford Motor Company produces 3, 4 and 5-speed editions that are the most common. These manual and automatic units are part of what has made Ford vehicles so reliable. What is sold here online and offline is quality used Ford 4-speed transmissions and other units. Here at Got Transmissions, you can find what you need for an installation. It’s easy to browse our inventory at http://www.gottransmissions.com. Both regular transaxle and electronic transaxle editions were used by Ford in its entire line. The Mercury, Lincoln and Ford divisions made use of these 4-speed units. What you can find for sale at some places online is a variation of quality. There are various types of these units that are sold. The ones that we’ve acquired and make for sale give a lot of value. These transmissions are the same type we’d put in our own cars. The quality remains high because of our total commitment to each customer order. The passenger cars, trucks and SUVs that these units fit into will be able to operate as normal after installation. It takes proper evaluations of auto parts to know what you’re really buying. The automatic assemblies that are sold here are tested and approved. This means that our team has already done the legwork before acquiring these for sale. We know first hand that what is sold here is ready for install. If a problem comes up, our warranty is designed to offer coverage. Few dealers warranty preowned automobile transmissions due to high mileage. The warranties that we supply are helpful to all buyers. All of the parts warranties are guaranteed by our company. The AOD, F4EAT, AX4S and AXOD are all represented for sale here. It only takes a few moments for our specialists to set you up with a unit. We’ve upgraded our inventory to ensure that it holds what customers want. You can search our website for the exact model and then get a price quote. It is the price quotes that are sent out virtually that many people like. These require a click or two of your mouse. The cost savings are instantly recognizable upon review of the price you’re given. Our used transmissions are designed to be affordable for all budgets. The cleaning, preparation, shipment and delivery to your door is what makes us one of the top sellers online. You’ll find our form for quotes on each page of the Got Transmissions website. Using our virtual price quote system is one way to learn Ford transmission pricing. Calling us by our toll free number is another way. Our specialists can search our computer database regardless if what you need is listed on this website. Our network of suppliers is large. We can get any automatic or manual edition you need. It costs nothing to get a price quote. Get one right now. Chrysler produced the 45RFE transmission and used it heavily in the Dodge series. This electronically controlled unit was used in the 1500 Ram series starting in 2002. One thing to note about this edition is that is worked well with the 3.7 and 4.7 engine types. These V6 and V8 motors represent the popular editions for Dodge vehicles. The rebuilt Dodge Ram 45RFE transmission series that is sold here is done so for less. We don’t jack up the price of a rebuild. Our single low pricing is part of what helped our company to grow into a huge resource online at http://www.gottransmissions.com. One of the good parts about the 45RFE is that is remains in production. It is not uncommon for a specific edition to go out of production and make it hard to find. Our research team has no problems getting these engines for less through our distributors. We’ve put contracts in place that help us find a variety of transmissions. It is this research work that we sort through to take only the best available. These units are what get rebuilt by our staff. The Ram 1500 series and other editions are brought here to build. Monitoring our inventory is required to please customers. We could easily publish a website online that is never updated and has out of stock notices. We understand there are many of those already. We’ve invested into our website and our business strategies. We know how to find the most populous inventories of gearboxes. It is from these buying patterns that we find the ones to sell rebuilt or as preowned. We offer both editions to customers. Price might have something to do with why one is selected by a customer over the other. We ensure that we’re also selling for discounted prices. The stock rotates here daily. The 5-speed inventory that we carry is now one of the largest online. Both automatic and manual Dodge transmissions are sold here. We don’t give preference over either style. We listen to the needs of our customers. This group of people represents B2B clients as well as average truck owners. Locating a quality transmission is one way that we help customers. We expand on our services by shipping these out for no cost. We’ve eliminated all freight charges. This helps reduce the price and establish our company as a cost effective leader. Searching for electro-mechanical transmissions is easy here. Let our quote form help you search our inventory. We’re constantly updating our company services online and offline to help maintain our lead in the preowned and rebuilt business. The two-click quote system that is now in place here is simple to operate. Try it out right now. All prices are immediately generated for you to view. If you want to call, let one of our experts help you. We’ll match all of your data up with our inventory. We make sure that no wrong parts are ordered. We’re friendly people that want to see you succeed with buying a replacement.